* AWS means Automatic Warning systems. 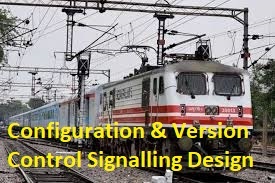 * For Railway operations the use is giving advance warning to drivers in-cab of approaching signals, reduction in permissible speeds and temporary/emergency speed restrictions. * Also applies brakes in the event the driver does not acknowledge the warning given. 1. The train approaching a signal passes over an AWS magnet placed in between the tracks. 2. Information is picked up by a receiver unit mounted below the leading vehicle (locomotive). 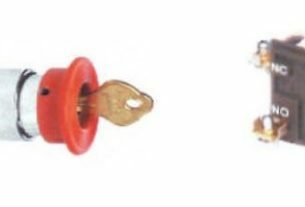 The cab equipment comprises of an audible alarm, a visual alarm, an acknowledgement push button and a switch to isolate the AWS equipment in case of faults. 3. If the signal is displaying a clear aspect, a bell is sounded in the cab and the visual indicator displays a black disc. No action required from the driver. 4. If the signal is displaying a caution aspect, a horn is sounded in the cab and the visual indicator displays a black disc. The driver has to acknowledge the alarm within a set time by pressing the acknowledgement button. 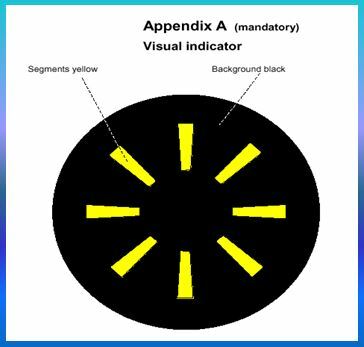 On doing so the visual indication changes to alternate yellow and black circular display and the horn is silenced . 5. If the driver fails to acknowledge the alarm within the stipulated time then brakes are applied to the train. If the driver pushes the button belatedly the horn is silenced and the visual indicator changes to yellow and black and also the brakes are allowed to be released. 6. The on board isolating switch can isolate the AWS equipment in case of faults so that the train may remain in service. 7. 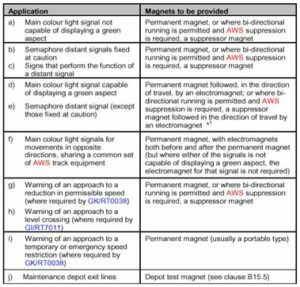 At the exit from maintenance depots, AWS magnets are provided so that an assurance can be got that the equipment is working correctly. Similar operation is also provided for speed restrictions when the case is always taken as approaching a caution aspect. Which Signals are provided with AWS? 2. 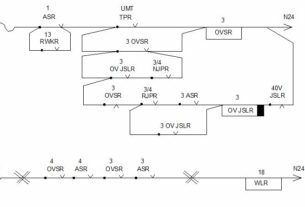 All Main Colour light signal which give access to running lines from non running lines. 3. All semaphore distant signals and signs that perform the function of a distant signal. Where is the AWS magnet provided? 1. At a point from where the driver gets sufficient time to relate the warning to the signal. 2. At a place from where the driver is able to see the signal under normal visibility conditions. 3. This generally means that the distance from the signal is 180m for speeds up to 160kmph and 230m for speeds greater than 160kmph (tolerances +10% , -5%). Where shall an AWS equipment not be positioned? 1. At a place where the train is likely to come to a stop with the receiver directly over the magnet. 2. Within 4 seconds traveling time of another magnet unless one of them is always suppressed for a move. 3. Where it could interfere with the correct operation of automatic power control equipments. 4. 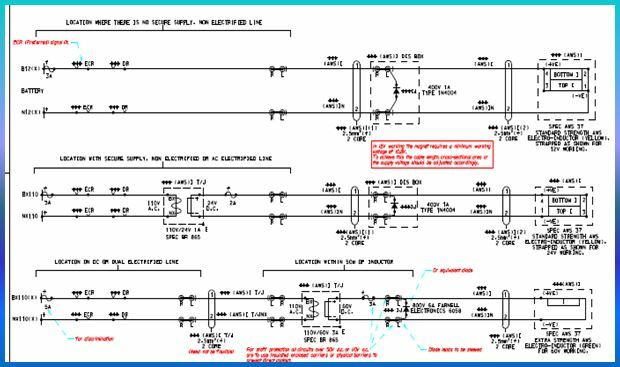 Less than 3.5 m from cross-track traction feeders, Traction return bonds or impedance bonds on DC Electrified lines. 5. Less than 1.5 seconds traveling time before cross-track traction feeder cables, traction return bonds or impedance bonds. This avoids a false “clear” indication being given to the driver. Which equipment cannot be positioned between a signal and its associated AWS? 1. Another main signal applicable to movements in the same direction. 2. A warning indicator for a reduction in permissible speed. 3. A warning board for a temporary or emergency speed restriction. 4. Any other AWS equipment applicable to movements in the same direction. 1. A permanent magnet with its south pole uppermost when fixed on track. 2. An electromagnet with its north pole uppermost when fixed on the track and energized. 3. 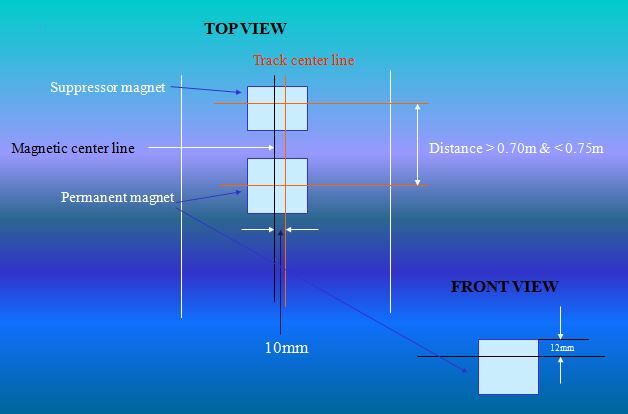 A permanent magnet with its south pole uppermost when fixed on the track and whose magnetic field is capable of being suppressed when required. 4. A permanent magnet for use as a depot test magnet with its south pole uppermost when fixed on the track. 1. For movements for which the AWS is not applicable. This means that on single lines and bi-directional lines the AWS is suppressed for signalled movements in the direction to which the equipment does not apply. 2. Where a semaphore signal having both distant and stop arms is cleared for a route for which the distant does not apply then AWS is suppressed. 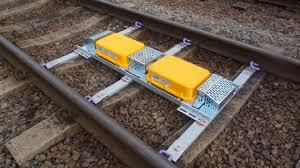 It may be noted that there is no requirement to suppress AWS for shunting movements on unidirectional lines, wrong direction movements during temporary single line working and also for movements over AWS associated with warning boards for temporary/emergency speed restrictions. Where AWS equipment associated with signals and speed restrictions is not suppressed for movements in direction to which it does not apply. Then a cancelling indicator has to be provided. These are positioned 180m beyond the AWS equipment in the direction of movement to which the AWS does not apply. They are also positioned facing the trains traveling in the direction to which the AWS does not apply. They are usually positioned on the left side of track. The AWS equipment should function at the max permissible speed of the vehicle on which it is installed and the lowest speed at which it is expected to operate is 5mph. 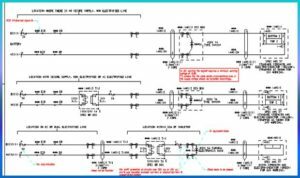 * Audible and visual indicators operate correctly when required to do so. * AWS brake demand is requested when required. * Train borne equipment should have an availability of not less than 99.9%. * Track equipment should have an availability of not less than 99.9%. Tagged amazon aws magnets automatic track warning system Automatic Train Protection automatic warning system railway AUTOMATIC WARNING SYSTEMS (AWS) aws bell sound AWS-Typical circuits -SSI Cancelling Indicator train operated warning system train protection system types of railway signals What equipment is required? What is AWS? Where is the AWS magnet provided? Where shall an AWS equipment not be positioned? Which Signals are provided with AWS?